Deborah Coulston brings a dynamic counseling style to the therapy process coaching both couples and families toward healthier relationships. Couples and family counseling is appropriate for those in crisis as well as for those simply seeking to improve the quality of their relationships. While couple’s and families are faced,with at times, overwhelming challenges, the family remains the primary source of support, esteem and nurturance throughout the developmental stages of life. 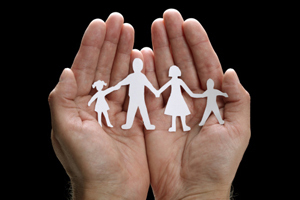 Family therapy can help to address these challenges and crises and foster positive interaction among members. In addition, individual counseling is often greatly enhanced by including family members in the process of change. Marital and family therapy can help provide support, teach specific communication/ or parenting skills and help each individual to feel nurtured and valued within their most important relationships. For more information call The Family Wellness Center today. We look forward to hearing from you.